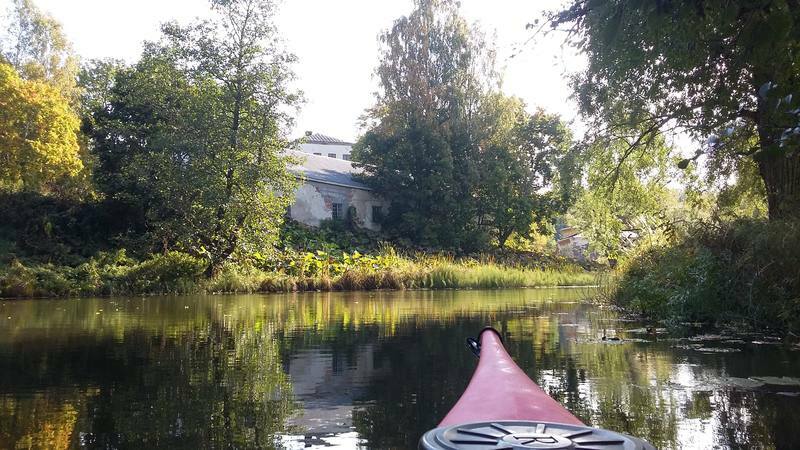 For guests staying at Scandic Siuntio hotel, an unforgettable day surrounded by the wonders of Finnish nature and a glimpse into the history of Finland can be enjoyed. The experience combines canoeing, cycling and a guided tour of a private medieval manor. The canoeing trip travels along the Siuntio River, known for its verdant nature and diverse fauna. The canoeing part of the trip ends at the medieval manor of Sjundby, where we will meet our guide for a tour of the house. After our tour we will enjoy a picnic lunch. We will then head back to the hotel by bicycle along beautiful village roads, enjoying the scenery of the Finnish countryside. N.B. It is recommended that participants wear comfortable outdoor clothing and footwear. 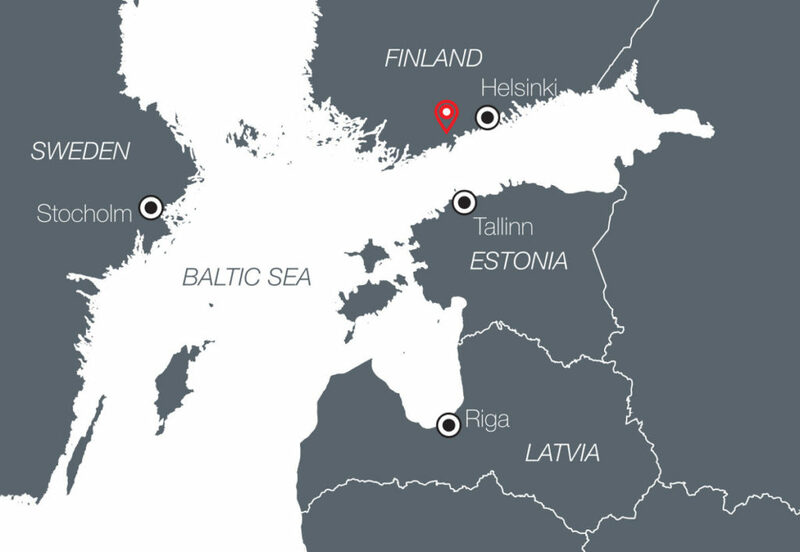 Our paddling guide will meet participants in the lobby of Scandic Siuntio hotel and together we will walk to the shore of Lake Tjusträsk, the starting point of the canoeing trip (approx. 10 min.). The paddling guide will explain about paddling techniques and safety issues. Paddling equipment – canoes, paddles, buoyancy aids, water tight bags and fresh water to drink – will be provided for each person (briefing will take approx. 15 min.). The canoeing route will take the group across Lake Tjusträsk and along the Siuntio River, led by our paddling guide and will depend on the participants’ skills (approx. 1 hour 30 min.). Guided tour of Sjundby Manor. The guide will meet us when we land at Sjundby and take us for a tour of the private manor (approx. 1 hour). Picnic lunch by Sjundby Manor. Traditional Karelian pastries with egg butter, fresh vegetables and homemade Sjundby ice cream (approx. 30 min.). Our cycling instructor will provide participants with high-quality hybrid bikes, cycling helmets and water bottles (approx. 10 min.). 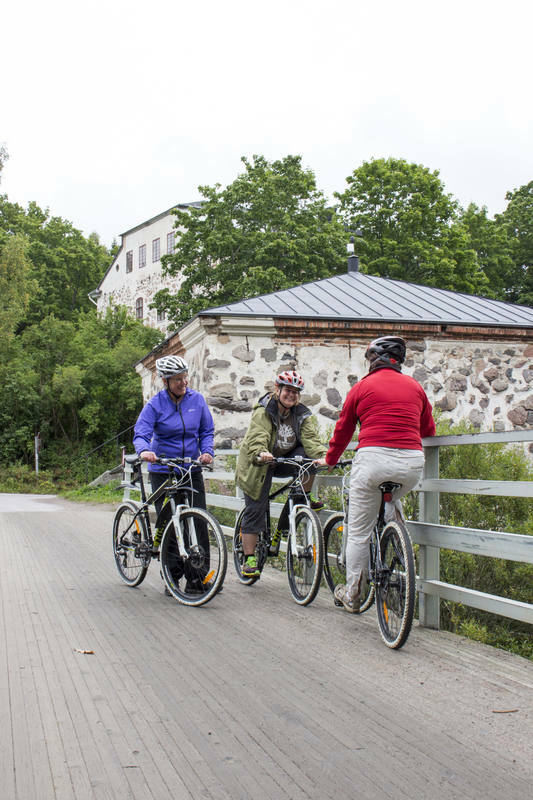 The cycling route takes village roads across the beautiful countryside of Siuntio, finishing back at Scandic Siuntio (30 min. ).